Please note: There is a change from the original schedule and the plenaries by Abraham and Watson have switched places. This is due to a conflict in Professor Abraham’s schedule. Here’s the lineup of preachers and speakers for our conference , Holy People, Faithful Church, to be held at Armstrong Chapel UMC in Cincinnati, March 31-April 2. There are more speakers TBA. You can register by clicking here! Bring all your friends! Most people are skeptical of free offers. Experience has taught us that anything that sounds too good to be true usually is, and the promise of a “free” service or gift is often accompanied by a host of hidden costs or obligations. Those who commit themselves to such offers are considered naïve; therefore, we would prefer to turn down a genuinely free product rather than to be taken in by a scam. Unfortunately, we tend to bring this wary attitude into our relationship with God. We may intellectually assent to the truth that we are reconciled to God by faith in Christ alone, but we exhaust our emotional and spiritual energy attempting to merit God’s love and forgiveness. Instead of receiving the full comfort found within the doctrine of justification and regeneration by faith alone, we find ourselves looking for the hidden agenda. Surely God must require something more of us! One would think that the revelation we are “justified or accounted righteous before God only by faith in our Lord Jesus Christ” would be eagerly embraced. However, this has hardly been the case. Luther’s proclamation that “the just shall live by faith,” violently disrupted all of continental Christendom. Wesley observed that in nearly every pulpit he proclaimed the message of “free salvation by faith in the blood of Christ. I was quickly apprised that … I am to preach no more.” The truth that we are made righteous through faith alone has been most readily received by those who acknowledge they are mere sinners in desperate need of God’s grace. Often these are the very people who have been rejected by society, the church, friends, and family. The first person to whom Wesley offered salvation through faith alone was a prisoner under the sentence of death, and from there, Wesley carried the message to the streets and fields. It was a humble beginning to a ministry that swept the nation. What are we doing with the doctrine of justification by faith alone? Are we treating it like an offer too good to be true? Do we really believe the new birth enables us to serve God in righteousness and truth? Or do we live our day-to-day lives struggling with the same sins and failures – wondering if we will ever earn God’s acceptance? Or perhaps we unconsciously act on the belief that only those who “deserve” salvation are worthy of our efforts. When was the last time that we went out of our way to share the good news of salvation with a person who seemed beyond the reach of the Gospel? Or do we only share our faith with others who are “like us.” The doctrine of justification by faith alone is “very full of comfort” indeed for those who have reached the end of themselves. We can offer a real hope of salvation, transformation and assurance to all who are willing to acknowledge that they are sinners in need of redemption and truly believe that their sins are forgiven through the merits of Christ. I always like watching figure skating during the winter Olympics. It is amazing to see the precision with which the best skaters move around the ice. If they under-rotate their spins, failing to put forth enough power, they will come crashing down on the ice. But it is equally possible to get too excited, too energized when attempting that triple Salchow or double Axel; too much confidence may lead to over-rotation, resulting in yet another hard fall. The life of the believer also calls for precision and balance. Having experienced the new birth, a follower of Christ is now empowered to live a life of holiness in service to God and neighbor. But temptations to under-rotate or over-rotate the deft maneuvers of the Christian walk abound. “Under-rotation” occurs when believers think it is impossible to overcome sin in this life. This is a pervasive belief today, and is based in the common experience of committing sin even after coming to know Christ. This pessimism is underscored by certain interpretations of Romans 7 (“I can will what is right, but I cannot do it…”) which suggest that the believer will continually struggle—unsuccessfully—to overcome the power of sin. The believer then becomes resigned to the reality of sin and expects no escape from its power. And how can anyone hope to defeat sin in this life if they believe the battle is already lost? But John Wesley would have none of that. He understood Romans 7 as an example of Paul portraying the persona of someone who was under the Law, struggling to achieve God’s will prior to knowing the redemption of Christ. Once in Christ, however, the believer is set free from the guilt and the power of sin, and it becomes a real possibility to love both God and neighbor with one’s whole heart. Through the empowering of the Holy Spirit the believer is able to offer every thought, word, and deed to God. The fruit of the Spirit abounds, and the believer lives every moment to the glory of God. For those who embrace Wesley’s optimism that the power of the Spirit can indeed entirely transform us in this life, the danger of “over-rotation” lurks. For the spiritually zealous who rightly rejoice in God’s work in their lives, Wesley warned not to succumb to spiritual pride. This kind of pride occurs when we credit any achievements to our own doing rather than to the power of God, or when we think we have more knowledge than we do, or when we believe we are so spiritually mature that we cannot learn from others. Too much confidence in oneself leads to a hard fall just as surely as a lack of confidence in the power of God. And, sooner or later, he surely lifts up the light of his countenance upon them; he strengthens the hands that hang down, and confirms the feeble knees; he teaches them again to say, “My soul doth magnify the Lord, and my spirit rejoiceth in God my Saviour.” Innumerable are the instances of this kind, of those who had fallen, but now stand upright. Indeed, it is so far from being an uncommon thing for a believer to fall and be restored, that it is rather uncommon to find any believers who are not conscious of having been backsliders from God, in a higher or lower degree, and perhaps more than once, before they were established in faith. Believers who struggle with sin and guilt need only to return to God with a spirit of repentance and a genuine desire to follow Christ anew. God’s grace is vast. Second, Article XII chastises those who might look down upon believers who are struggling to embody holiness. We’ve probably all met a few of those churchgoers who scrunch up their noses at the “wrong sort” of people coming into church, whispering that “they don’t belong here.” But Article XII reminds us of the hypocrisy of assuming our own perfection while denying grace to others, because it is only through that same grace that we can hope to draw near to God. Ultimately, true balance is found in the Wesleyan optimism that God is already transforming us here and now through the work of Christ and the power of the Holy Spirit. When we stumble, whether through doubting God’s ability to conquer sin in our lives or through an over-confidence in our own abilities, we need not fall. God’s grace is waiting to catch us. Wesley offered a nuanced version of Christian perfection. He believed freedom from voluntary sin could be achieved in this lifetime, but he allowed that involuntary sin (e.g., mistakes and infirmities) remained. For a helpful discussion, see Mark K. Olson, “John Wesley’s Doctrine of Sin Revisited,” Wesleyan Theological Journal 47 (2012): 53-71. Save the date: March 31-April 2. UM Scholars for Christian Orthodoxy is announcing a new conference, “Holy People, Faithful Church.” Our goal is to equip the saints, both laity and clergy, for the task of ministry in the Wesleyan Tradition. We are bringing together a diverse collection of people, united in Christ and connected through the historic Wesleyan doctrines, to present to the Church the task of 21st century Wesleyans — to reclaim the spirit of renewal of early Methodism, to refocus our theological tasks on the Christian Tradition, and to live out our biblical witness as Christians committed to orthodox doctrines. The conference will be held at Armstrong Chapel United Methodist Church, located just outside of Cincinnati, OH. More information to come. We hope to see you there! In a memorable scene from The Matrix, the character Morpheus explains the nature of the artificial reality after which the movie is named. “The Matrix,” he says, “is everywhere. It is all around us… You can see it when you look out your window or when you turn on your television. You can feel it when you go to work … when you go to church … when you pay your taxes.” In many respects, he might just as easily have been describing civil government. Like the Matrix, in much of the world government is a pervasive, artificial reality whose influence is vast but often unnoticed. When Americans like me look out our windows to see paved streets or electrical wires or even sprawling fields of corn, we are seeing—though perhaps not noticing—the power of government, which has profoundly determined the character of our lives, including by constructing transportation infrastructure, crafting energy policy, and subsidizing specific commodities. Turning on the television, we tune in to a medium of communication that is not only routinely populated by the latest news of government scandal but that has been made possible by government support and restrained by government statutes. Going to work or to church we similarly enter institutions whose present configurations owe much to the influence of government subsidies and regulations. Yet, much like the proverbial fish that does not know it’s in water, we can have difficulty thinking clearly and critically about civil government precisely because of its pervasiveness. When this happens, we are likely to fall back on accepted wisdom, which for Christian thinking about the role of civil government has frequently led to a near exclusive reliance upon the opening verses of Romans 13. There Paul writes that every soul should be subject to the governing authorities, who “bear the sword” as servants of God in order “to execute wrath on the wrongdoer.” Political theories that grow out of such reliance depict the proper role of government as one of curbing evil. The purpose of government, its proponents suggest, is to restrain the forces of chaos so that, in the words of Augustine, “the good may live peaceably among the bad” (Augustine, Letter 153: To Macedonius). Our Confession of Faith encourages us to acknowledge the importance of government’s restraining role. In a world where human beings are “fallen from righteousness” and “inclined to evil” (see Article VII), some governing force is needed to protect the innocent and punish the guilty. At the same time, however, the Confession pushes us to recognize that government is capable both of less and of more than the restraint of evil. To say that government is capable of less than the restraint of evil is a reminder that sometimes governments themselves function not to restrain evil but to perpetuate it. The Confession’s claim that “civil government derives its just powers from the sovereign God” suggests that the governments of this world stand under God’s judgment, and that it is possible that they will fail to measure up. Whether by arrogating illegitimate powers to themselves or wielding legitimate powers in ways that defy God’s will, governments not infrequently become purveyors of injustice. The Bible is no stranger to this reality. From Pharaoh’s oppression of God’s Chosen People to Samuel’s condemnation of the extortionate behavior of kings (1 Samuel 8:10-18) to prophetic oracles that protest against those who “make iniquitous decrees” (Isaiah 10:1) to the apocalyptic vision of beasts with governing powers making war on God’s holy people (Revelation 13), the Bible repeatedly indicts governments that defy God’s will for justice. Most of all, in the government-sponsored crucifixion of Jesus, the one who “knew no sin” (2 Corinthians 5:21), we witness that at times government may be a terror not to bad conduct but to good. The brutalization of civil rights marchers in Birmingham, Nelson Mandela’s long sojourn on Robben Island, and the disproportionate incidence of police brutality against unarmed persons of color today attest that the potential corruption of civil government is by no means relegated to the past. Even as we “recognize the governments under whose protection we reside,” the potential for corruption calls us to confront governments when they fail to provide such protection. But government is capable of more than simply restraining evil, for it can also aid us in achieving good. 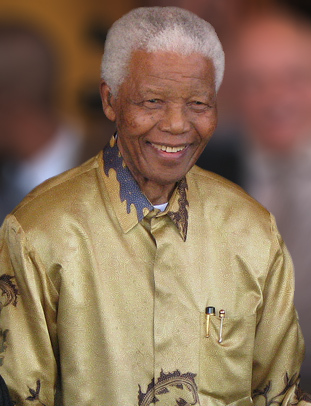 The Confession declares “governments should be based on, and responsible for, the recognition of human rights under God.” According to most understandings, human rights entail not only what are often called “negative rights,” which protect us against the depredation of others, but also “positive rights,” which entitle us to certain goods. Accordingly, the United Nations’ Universal Declaration of Human Rights maintains not only that no one should be subjected to torture (Article 5, articulating a negative right) but also that all people have “the right to a standard of living adequate for the health and well-being of [themselves] and of [their] family” (Article 25, articulating a positive right). And indeed governments in many parts of the world have taken responsibility for such positive rights by providing pensions for the aged, education for the young, and medical care for the infirm. While they necessarily fall short of the perfection of the Kingdom of God, Christians ought to recognize such initiatives to be approximations of that reign in which those who are hungry shall be filled and those who weep shall laugh (Luke 6:21). Nevertheless, perhaps most striking of the truths embodied in this final article of the Confession is that if civil governments are properly to restrain evil and attain good, they depend upon virtuous citizens to give them “moral strength and purpose.” Such a claim cuts against the grain of modern political theory, which has been centrally dedicated to determining how we might create a just government without just people. Such a project is by no means pointless; there are undeniably certain institutional arrangements (such as the separation of governmental powers) that promote greater justice. However important such procedures may be, though, the character of a government is inextricably tied to the character of its people. Thus, if we desire a more just government we must focus not only upon changing the government but also upon changing ourselves. For those in the Wesleyan tradition, this means devoting ourselves to the cultivation of social holiness. That begins with the intentional gathering of Christians seeking to grow in the image and likeness of Christ, who embodied God’s justice. But it is driven into the world and broader forms of social and political action by the desire to embody God’s grace and to transform the world so that it may more closely resemble God’s will. In such ways we witness to the fact that although civil governments, much like the Matrix, might pervade our lives, it is truly God “in whom we live and move and have our being” (Acts 17:28) and that in the end “we must obey God rather than any human authority” (Acts 5:29). As I sit down to begin this short essay on private property, my husband – at this very moment – is walking with an inspector through a home we’re attempting to buy. I was in Ohio a month ago, looking at houses for our move to United Theological Seminary; now, at last, we have a home under contract. This endeavor has brought countless, often competing, factors into play: location, cost, space, neighborhood, school district… Housing costs or school district options might compete with proximity to work. Proximity to work might compete with the desire for a yard, a spacious home, or an attractive neighborhood. These are just a few of the factors people of all creeds consider when facing the privilege and the challenge of purchasing property. But what of Christian values, the imperative to seek social justice, and the call to ecological justice? Does Christian theology direct us to particular properties and particular uses of property? As those who follow Jesus, the Galilean man who had “nowhere to lay his head” (Matt 8:20; Luke 9:58; all quotations from NRSV), we may question whether we ought even to countenance “private property.” We confess: “the earth is the Lord’s and all that is in it” (Ps 24:1), yet Jesus the Lord chose not to invest his time and energy into his earthly family’s business and property as the firstborn and heir. He followed his Heavenly Father’s call to a peripatetic life of little property. What are we to make of this? When we recall that Jesus enjoyed the hospitality of others during his sojourn, we realize that he also depended on their property. Two concepts here beg for more attention: property and dependence. Property, as traditionally used in Western society, includes all land, natural resources (minerals, water, etc. ), machines, implements, shelters, animals, and plants in the possession of a person or group. 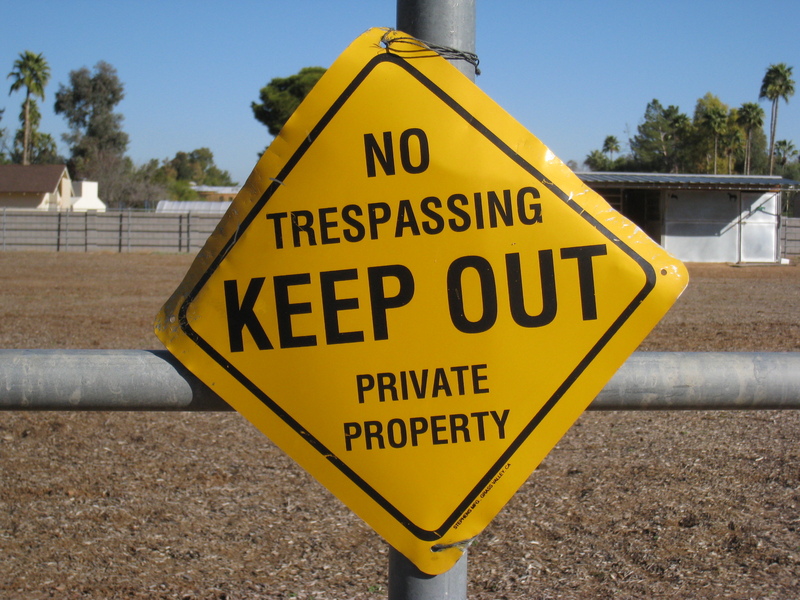 “Private property” confers legal “rights” upon an individual (or group of people) to these particular parcels of creation and restrains the legal “rights” of others in seizing them. From this depiction of property, and in view of our confession of faith, two problems arise. First, this language of “rights” puts the entire focus upon humans and their institutions, distracting us from God the Creator’s involvement in the world; in light of Article XV, discussion of human “rights” may sideline the sovereignty of God. Second, the demarcation between what is “mine” and what is “yours” becomes fuzzy especially when we consider certain resources, such as air and water. What I do with “my” property affects the quality of air and water that flows into “your” property, and vice versa. No matter how high we build our security fences, my activity affects you and the rest of the world. The language of “rights,” therefore, encounters extreme difficulty in capturing these complexities and remains insufficient for reflecting our humble stance before the true Lord of creation. In fact, Article XV makes no mention of “rights” but employs the far less common—and yet, I would argue, far more appropriate—phrase “sacred trust.” Property is provided to us as a sacred trust, as gifts of creation from the Creator. The language of “sacred trust” directs our human gaze away from our “rights” and “property” to our Creator’s prerogative in the world. But what, we might ask, is that prerogative? Ellen F. Davis, Scripture, Culture, and Agriculture : An Agrarian Reading of the Bible (New York: Cambridge University Press, 2009), 53-54. Seldom has the Church had more confusion over how to read the Scriptures. Perhaps it’s a result of the information age. We confuse accumulated factoids for knowledge and character formation. Whatever the reason, the UMC is in crisis partly because of an inability or refusal to receive the Bible as God’s gift of grace for the Church. In the current malaise, our Bible’s testaments have been reduced to two individual phases in the history of religion, each bearing witness to an ever-improving and superseding wisdom. This new wisdom, it is thought, gloriously comes to fruition in our day of enlightenment. In such a way of reading the Bible, the church must determine which passages are outmoded and thus to be ignored. Other passages, it is assumed, might have been helpful at some point in history. But we know better today. What is left of the Bible can be applied to our lives. It’s more or less left to us to decide which bits are therefore “applicable” to our Christian faith and relevant to contemporary ethics. What a novel idea! In reality, the Church has a long and helpful tradition of developing what the Bible means for believers, based squarely on our understanding of Scripture as the unique revelation of God, and the primary means by which God’s grace is poured into our lives. And this has all been worked out in a careful hermeneutic, or theory of interpretation. It begins by cheerfully and gratefully accepting all of Scripture as God’s gift of grace, rather than reducing it to a channel for specific instructions to be applied only after sorting wheat from chaff. In light of this understanding, we need to review three principles of interpretation at the core of the way we read the Bible as United Methodists: the whole of Scripture, the canon of Scripture, and the primacy of Scripture. As United Methodists, we insist on interpreting “individual texts in light of their place in the Bible as a whole.” This is our statement against what is commonly called “proof-texting,” or lifting a single verse from somewhere in the Bible, stripping it of its surrounding literary and historical contexts, and using it to prove what it never intended to support. For example, by proof- texting, one could argue that the psalmist is an atheist because he says “There is no God” (Ps. 14:1). But of course, in reality, the whole line reads: “Fools say in their hearts, There is no God.” The argument makes the psalmist say just the opposite of what the whole psalm is actually teaching. Sometimes instead of lifting a text from its context to prove a point, we strip it of context in order to dismiss a passage we don’t like. For example, it is common to hear people today dismiss commands such as the prohibitions forbidding beard-trimming (Leviticus 19:27) or lobster-eating (Leviticus 11:10; Deuteronomy 14:10). Some have argued such commands never expressed the will of God and can simply be ignored because they no longer apply to today’s Christians. But this is a form of reverse proof-texting, which lifts a command from its context in order to dismiss it, or at least to argue that such Old Testament commands are irrelevant for today’s Christian readers. Such proof-texting misses the fundamental reality that the whole Bible, including the hard to explain legal bits of the Old Testament, is God’s word for Christians today while not necessarily representing God’s command to us in every instance. We’re supposed to look for principles and truths lying beneath the surface of each command, and in case-by-case fashion, find ways these truths are relevant for our edification today. In this way, all of Scripture is still the word of God for the people of God (2 Timothy 3:16-17; 2 Peter 1:20-21). Thus even the prohibitions against beard-trimming and lobster-eating contribute to our understanding of the way the Israelites related to their holy God as a holy people. The immediate context in each case explains that the prohibitions are related to living a holy life before God (lobster-eating = Leviticus 11:44-45; beard-trimming = Leviticus 19:2 and Deuteronomy 14:2). Some argue that these prohibitions are culturally embedded in ancient stigmas or are otherwise outmoded, and therefore apply only in some indirect fashion if they apply at all. But we cannot dismiss them as altogether irrelevant, which would itself be a form of proof-texting. 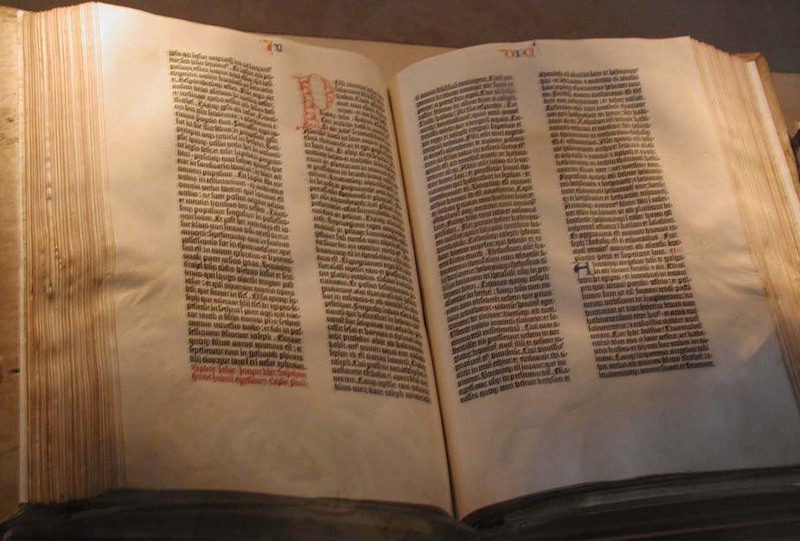 As United Methodists, we view the Bible as “sacred canon for Christian people,” specifically the “thirty-nine books of the Old Testament and the twenty-seven books of the New Testament.” As sacred canon (or authoritative standard) for the Church, we believe the Bible is not primarily inspired for us to know things (epistemology). We learn quite a lot from the Bible, of course. But this is not its primary function in and for the Church. Instead, the Bible is inspired and given by God to the Church in order for Christians to know God through personal and corporate salvation (soteriology). Even my use of the word “know” in the previous sentences has different meanings. By “know” when referring to things, I’m essentially referring to the use of my brain to accumulate facts. But by “know” when referring to God, I mean encountering God and relating to him in a way made possible by the sacrificial atonement of Christ on the cross. We believe the whole canon is a gift from God, inspired to lead us to an intimate relationship with God, and to transform us into God’s image, individually and corporately. As United Methodists, we are convinced “that Scripture is the primary source and criterion for Christian doctrine.” John Wesley recognized five authorities for Christian doctrine, while never losing sight of Scripture as primary among them: (a) Scripture, (b) reason, (c) Christian antiquity, or the “primitive church,” meaning the first three centuries of Christianity, (d) the Church of England, and (e) experience. The last one, “experience,” means specifically Christian experience in Wesley’s usage. This criterion for Christian doctrine is least of all. Whenever Wesley sees instances where Scripture and experience deviate, he characterizes Scripture as trustworthy and experience as untrustworthy. By emphasizing the primacy of Scripture in what we now call the “quadrilateral,” our Wesleyan tradition means we turn to the other three components (reason, tradition, and experience) for help when interpreting Scripture. They are privileged in the process hermeneutically (as instruments for interpreting the Bible) but not epistemologically (as sources for truth). They are useful norms for interpreting Scripture, not as independent sources in theology. The inclusion of “experience” in our theological task can be misleading. In Wesley’s practice of interpreting the Bible, he often turned to an awareness of God’s presence in the lives of individuals in the early Methodist movement for help. In particular, he was interested in hearing testimonies of those giving witness to an assurance of salvation by faith. And thus he added “experience” to the Anglican triad of Scripture, reason, and tradition, in order to clarify the notion of conversion. Especially after his own heart-warming experience at Aldersgate Street, Wesley was seeking a way to legitimize his own conversion experience and those of others into the Anglican way of doing theology. For more, see Bill T. Arnold, Seeing Black and White in a Gray World (Franklin, Tenn.: Seedbed, 2014), 70-89. When I was a little girl in church, I enjoyed singing along with the congregation something called the Gloria Patri, which I thought was pretty, if a bit odd. The last line goes like this: “Praise Father, Son, and Holy Ghost.” Now, unfortunately, the only other ghost with which I was familiar was Casper the friendly ghost (a popular cartoon at the time). So I had this vague mental image of the Trinity as: God, the Jesus that I had seen in pictures, and Caspar with a halo. (My apologies if you can’t get that mental image out of your brain for a while!) My point here is that while I had a notion of God the Father and God the Son – i.e. Jesus – I didn’t really have any notion of what was meant by “the Holy Spirit.” I had an essentially binitarian faith, instead of a trinitarian faith. I’m a bit ashamed to admit that I didn’t really learn much about the Holy Spirit until I was a young adult in Disciple Bible Study. I also began to read some of John Wesley’s sermons, which I found helpful. The Articles of Religion of The United Methodist Church don’t actually say a lot about the Holy Spirit. 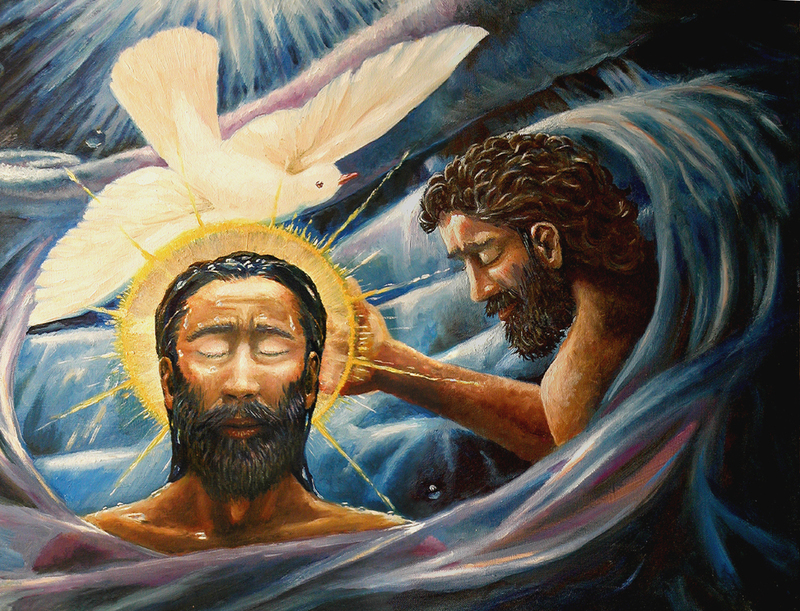 Article IV—Of the Holy Ghost says only this: The Holy Ghost, proceeding from the Father and the Son, is of one substance, majesty, and glory. The Confession of Faith also mentions the Holy Spirit as the one from whom we receive the Scriptures and under whose discipline the Church exists. Looking to the Bible for help on the Holy Spirit, I found much to enlighten me. The Spirit of God hovers over the face of the deep in Genesis 1, but I think a more significant reference to the Spirit comes in Genesis 2:7 where God breathes into the nostrils of the little earth person that God has made from the clay and that person becomes a living, breathing (or, you might say “spirit-filled”) being. The breath of God – the Spirit of God – gives life in the beginning, just as the breath of Jesus – the Spirit of Jesus – gives new life to his disciples in John 20:22. However, the Spirit of God is not only a promise for the Messiah, but for the people of God as well. In fact the giving of the Spirit, promised in Joel 2:28-29, is the sign that God will be with the people in a new way after the resurrection of Jesus. The spirit of the Lord GOD is upon me, because the LORD has anointed me; he has sent me to bring good news to the oppressed, to bind up the brokenhearted, to proclaim liberty to the captives, and release to the prisoners; to proclaim the year of the LORD’s favor, and the day of vengeance of our God; to comfort all who mourn. And, of course, when Jesus appears to his disciples post-resurrection he gives the command: “Therefore, go and make disciples of all nations, baptizing them in the name of the Father and of the Son and of the Holy Spirit” (Mat 28:19 CEB). Maybe the most important thing I have learned over the years is that the Holy Spirit is not an “it.” The Holy Spirit is one of the persons of the Trinity. Why does it matter that the Holy Spirit is a person? Because the Holy Spirit is our intimate connection to God, both communally and individually. The promise given in Joel and renewed by Jesus in John 14 is fulfilled in Acts when the Holy Spirit descends upon the gathered crowd and draws them together into the gathered church – the Spirit creates the people of God, connecting us with one another and with God. We say that the scriptures are inspired by the Holy Spirit, but the Holy Spirit is also the one who gives us the ability to understand the Word of God as found in the Scriptures. 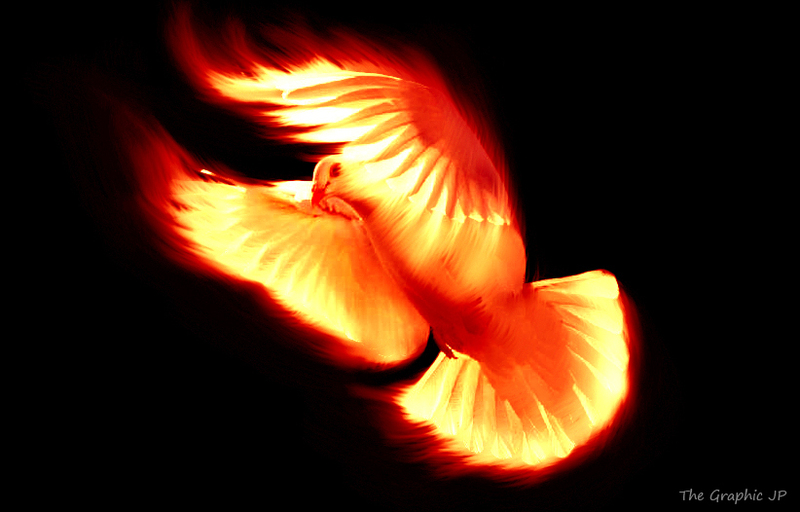 The Holy Spirit is Comforter, but also the refining fire who convicts us of our sin and enables us to respond to grace. Paul tells us that when we don’t even know how and what to pray, the Holy Spirit prays with us and for us. These are all the actions of a person who loves us, not an impersonal “Force” a la Star Wars. This post is getting long, but I want to make one more point about the Holy Spirit. There have been a number of heresies associated with the Holy Spirit and I think we find ourselves sliding towards some of those now. In essence we sometimes remove the Holy Spirit from the Trinity, either intentionally or unintentionally, and wind up attributing all sorts of behavior to the “prompting of the Spirit.” However, if we think we are being inspired by the Holy Spirit or told something “new” we have to remember that the Spirit will not contradict what we know of God through Christ and in the Scriptures. Finally, on a very personal level, I have to admit that while I try not to use pronouns when speaking to others of the persons of the Trinity, in my own mind, I use the pronoun “he” for God the Father and Jesus the Son. However, I think of the Holy Spirit as “she.” This is not because I think gender has a lot to do with the persons of the Trinity, but because I am a “she” and the Holy Spirit is my intimate friend. I experience the Holy Spirit as one who causes me a great deal of discomfort when I am straying from the will of God. But I also experience the Holy Spirit as the one who cries my tears and then dries my tears when I have no one else and nowhere else to turn.